So I drove into Los Angeles, and it was every bit the jungle that Guns N’ Roses promised me. In less than 12 hours I had a run in with a cop, a hustler or two, a police helicopter, and a hair metal dude. Thumbs up on LA for living up to the hype. “Jungle Music,” The Special AKA. Same band minus some members who went off to form Fun Boy Three, which was a pretty cool band, too. “I Finally Found a Jungle I like,” The Posies. Enough with the ska, it’s time to rockaw with your macaw out. They crib from The Who’s “My Wife” on the outro — cool! “Concrete Jungle,” Black Label Society. Quick, grow out your beard! Zakk Wylde is coming! “See Jungle! 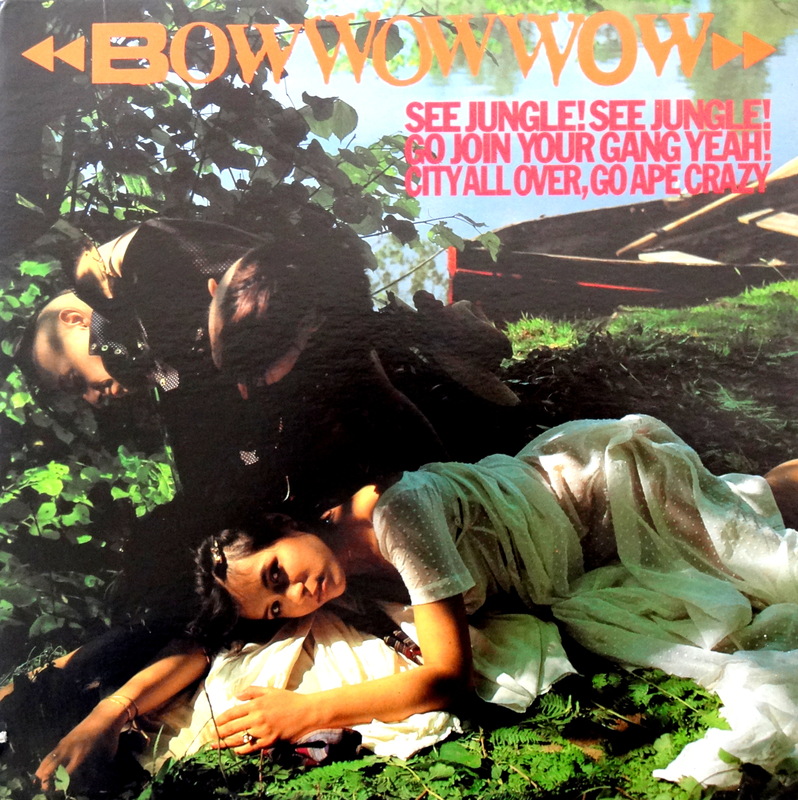 (Jungle Boy),” Bow Wow Wow. Annabella Lwin, Burundi drums, reverb-soaked guitar. Swoon. “In the Jungle,” The Vines. No lions slept tonight in the making of this song. “*** (Law of the Jungle),” Love and Rockets. That’s probably a quick enough run through the jungle boogie for one list. Is it drivin’ you mad and makin’ you crazy crazy? I’m listening. Bow Wow Wow was and still is one of my favorites. Annabella Lwin. Ahhhh. Annabella – one of the sexiest women to ever hold a mike. Plus, she was born on Halloween, my favorite time of year. I never got to see the original BWW perform live, but in ’97 original members Lwin and bassist Leigh Gorman resurrected the band and brought their Barking Mad tour to a small SRO club in Jacksonville. Guitarist Dave Calhoun of the Vapours and drummer Eshan Khadaroo completed the line up of the new BWW. The stage was basically just a foot tall riser, so there I was in front, sometimes just inches away from the band. I took my film camera along and snapped a lot of photos, and after the show the band hung around and signed autographs and posed for photos. After getting a couple of CD covers signed I had my picture taken with Annabella, both of us crammed side by side in the same chair, hugging each other. Good Lord, I was in heaven. HEAVEN. But it was after I got back to my car when it all came crashing down. I then realized that the film in the camera hadn’t locked itself around the inside advancing spool. So, the entire time I was taking photos of nothing. NOOOOOO!!!! That was the only time that ever happened and I’ve been kicking myself ever since.